During the weekend of 8th & 9th May, Amsterdam will once again be the centre of the superyacht industry, with many key decision makers and yacht owners attending the World Superyacht Awards. While the prestigious Awards Ceremony on Saturday evening will be nothing less than a black tie affair, we (Oculus YachtEye, FairPromotion & SuperYacht Company/Times) have once again organised a relaxed and casual pre-show event on Friday 8th May 2015 - the Superyacht Festival Amsterdam. 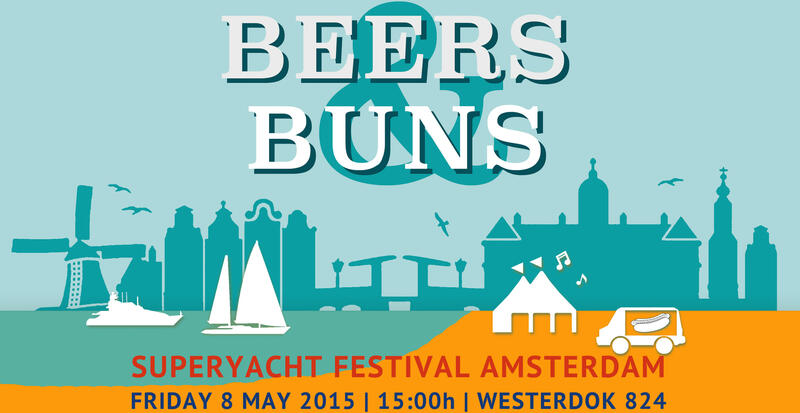 Following on from the success of last years Burgers & Bubbles themed occasion, this year's theme will be Beers & Buns.